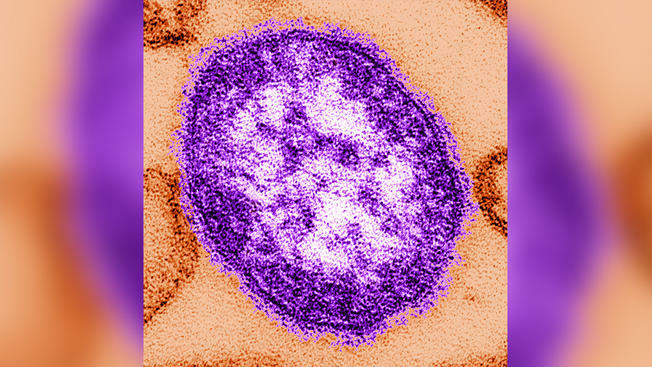 The measles virus, declared eliminated in the United States in 2010, is making a comeback—and not in a good way. Measles is considered one of the most contagious viruses in the world, making outbreaks common among young children and groups of unvaccinated people. On average, symptoms occur one to two weeks after infection. Those symptoms include high fever, cough, runny nose, pink eye, spots inside the mouth, and a rash on the skin. Further complications, such as ear infections, pneumonia, swelling of the brain, or death can occur from measles. According to the Centers for Disease Control and Prevention (CDC), so far, in 2019, there have been 228 reported cases of measles through 12 states: California, Colorado, Connecticut, Georgia, Illinois, Kentucky, New Hampshire, New Jersey, New York, Oregon, Texas, and Washington. Measles continues to prevail in many parts of the world, including areas in Europe, Asia, the Pacific Islands, and Africa. The current U.S. cases where large outbreaks are occuring have been linked to international travel. The greatest number of imported cases since 2010 occurred in 2018. Last year, 82 of the 372 cases of measles reported were in infected travelers. With travel being a prominent factor in the spread of this infectious illness, 17 countries with high measles rates are under CDC travel watch. There is no known treatment for measles; however, it is preventable with two doses of the MMR vaccine. The vaccine is licensed for use in children from 12 months through 12 years of age. Introduced in 1963, the vaccine is about 97 percent effective with two doses and 93 percent effective with just one dose. According to the CDC, between 2000 and 2016, globally there was an 84 percent reduction in measles related deaths as a result of the use of the vaccine. That equates to an estimated 20.4 million mortalities avoided. Though it is too early to declare a 2019 measles epidemic, just three months into the new year there have been more measles cases than past years. Though it seems that the increase in non-immunized children is pushing public health toward a crisis, Dr. Thomas Clark of the CDC’s Division of Viral Diseases rationalized that one or two outbreaks can impact the number of cases in a given year. Most often, when there is a large outbreak, it comes from someone who has travelled internationally, who has then come into contact with large unvaccinated groups therefore multiplying to the point of outbreak.